No Boundaries is lightweight and extremely versatile, which is perfect when you’re looking to brave the elements and enjoy the wilderness for what it is. Forest River has done an amazing job on their newest line of rugged trailers, and these have climbed their way to the top fast! You will appreciate the adaptable storage in each model providing space for kayaks, bikes, fishing gear, surf boards, and so much more. Whatever the activity or sport, No Boundaries can accommodate you with comfort and a place to rest while taking your most challenging adventures to a whole new level. The rugged tires allow you to venture off beaten paths to explore a little further than the ordinary camper can go, and the upscale interiors provide you with thoughtful designs including loads of storage! It also provides you with a JBL Flip 4 portable bluetooth speaker (featuring an exclusive custom cradle mount) and a complete interior/exterior LED lighting package, which will be great if you’re out in the forest at night! The LED entry step light is also a great addition to that scenario. Because of it being the newest and most modern design that Forest River has built, it comes with an extremely convenient USB charging station and other modern features that you’ll enjoy on any of your amazing trips to the forests of the States! 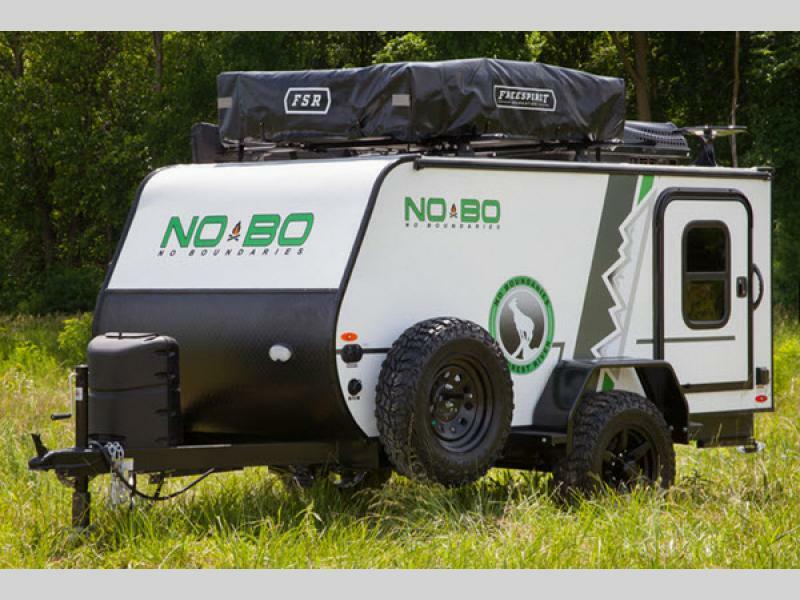 No Boundaries is exactly what it sounds like: a travel trailer that makes you feel like you can go anywhere! 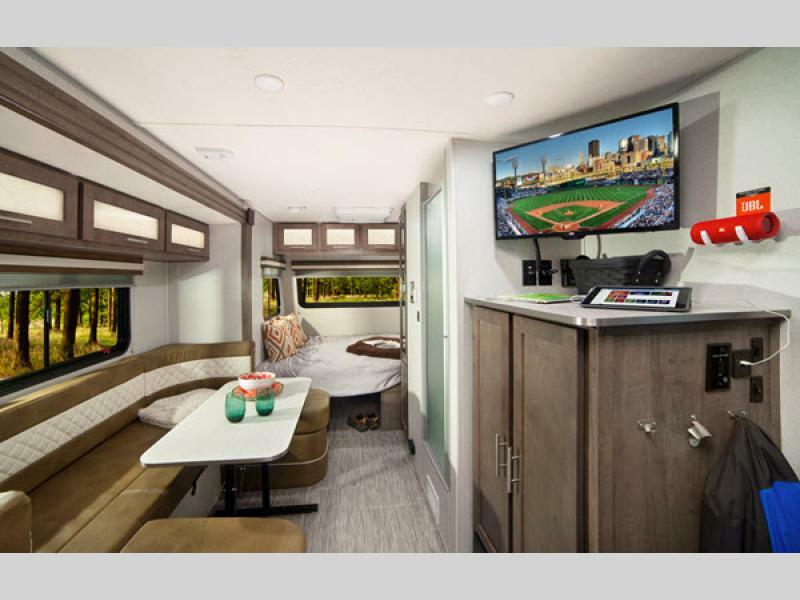 If you have any questions concerning this particular travel trailer or what to learn more about the No Boundaries floorplans, please contact us today.